December came for the good of everyone. It was that period everyone wanted to vibe, relax and have fun. Only a group of people could ensure this. The A list artistes with their concerts. The year was coming to a climax, everyone was reviewing how the year went and while the celebration and fanfare was in the air, only our superstar acts had the power to give us the fun and that experience we truly needed. So, out of demand, these four artistes gave us a fun filled and star studded experience at their concerts. Burna Boy had a wonderful year no doubt dropping fiery music materials that finally proved he was now one of Nigeria’s A list artistes. 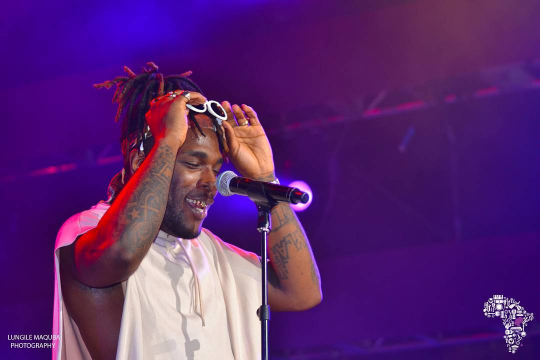 His album, Outside was unarguably the best album this year and out of fans’ demand, he decided to give us “Burna Live” which held at the Eko Convention Center. 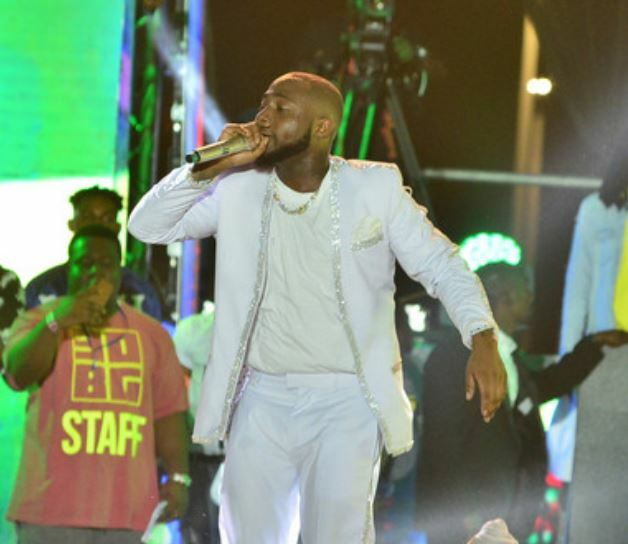 With performances from 2Baba, Davido, Wizkid, Burna Boy had the best support caste at his concert. On the same day, streets favorite, Olamide was to hold his concert, the Starboy held his which was a shutdown. Media reported it was a 40k+ people shutdown. From fans removing their shirts and waving it at Wizkid to the thousands of phone lights singing to the national anthem, Ojuelegba. 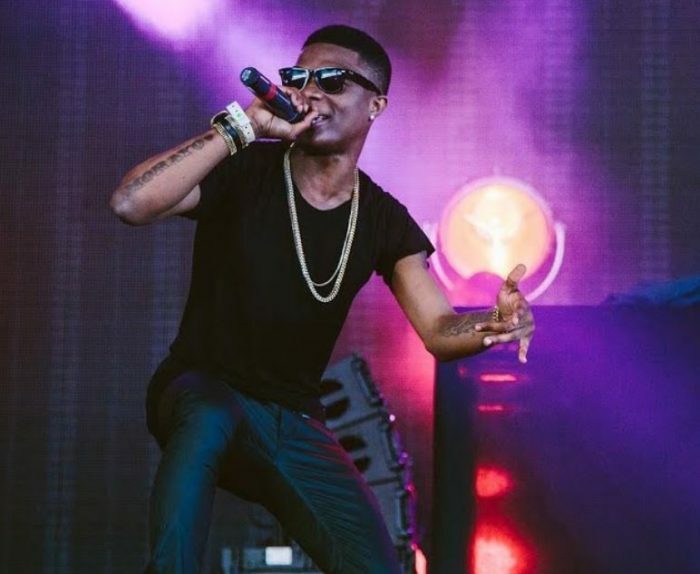 Wizkid shut down his own concert without any A list artiste invited. That’s an act of a Starboy. 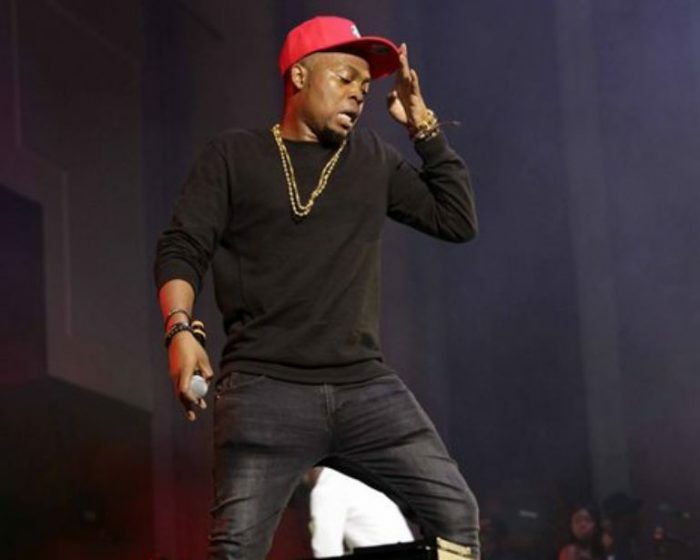 Yearly from 2014, Olamide has made it a culture of holding a year end live in concert. There was no idea of Davido headlining his own concert this year. His concert was not approved by Eko Atlantic City as at November and he had to make use of a makeshift venue, Oceanview for his concert and while it was later approved, it was just 12 days to the proposed date and Davido for sure shut it down. And it wasn’t without controversies. From Ladies being assaulted to Davidoallegedly slapping Kizz Daniel‘s manager. But still, it was one of the most talked about concerts this year. 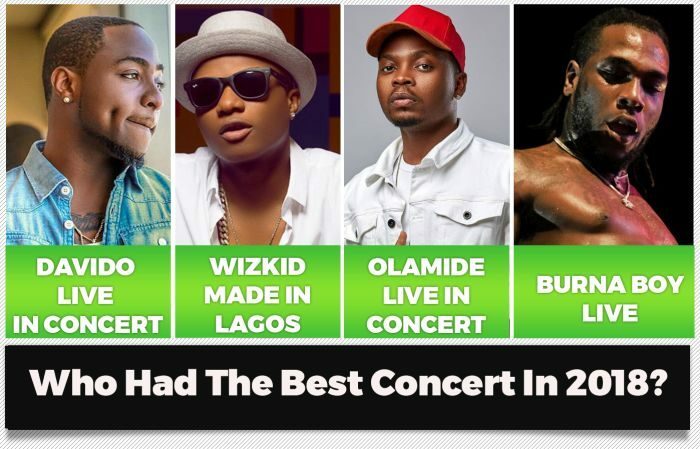 Which Out Of These Concerts Was The Best In 2018?